At an early age he became an enthusiast of Duke Ellington and wished to become a pianist like him. Although he trained for years as a classical pianist, jazz remained his main interest. He gave his first professional concert at the age of 13. At the age of 15 he had the opportunity to play with Kenny Clarke and Clark Terry, and at 17 he made his first recording. In 1980, Petrucciani toured France with alto saxophonist Lee Konitz in a duo. When critic Leonard Feather asked about his influences, Michel said: "-Oh man, Bill Evans for me is the salt of the earth. I also loved Coltrane and Bird, in fact, I think a lot of what I do is a reflection of Coltrane's inspiration." Much of his reputation is due to his sponsorship by Charles Lloyd which began on 1980s. Petrucciani had heard about the flutist/saxophonist through a friend who was living with Lloyd in Big Sur, CA. Taking a chance, he flew to California and met Lloyd, who was immediately taken with the 18-year-old prodigy. As Lloyd put it, "This guy is an avatar of the keyboard. It doesn't seem possible to have all that wisdom, maturity and coloring together at his age." Lloyd, who had been in semi-retirement, was inspired to form a group again, taking Michel with him to Europe with a quartet (their album, Montreux '82, under Lloyd's name, was released in 1982.) Not until 1983 did Michel begin to attract wide attention among American audiences. During his visit to New York in the summer, he not only recorded for George Wein but also gave a solo performance at Carnegie Recital Hall, both events part of the New York Kool Festival. These performances established him with the East Coast critics, who know very little about what goes on in Big Sur. Michel was usually playing with a quartet (sometimes featuring Adam Holzman's synthesizer for color) or as a soloist in the U.S. In 1986, at age 21, he became the first French musician to sign with the prestigious Blue Note label, where he recorded six albums. At the same year he recorded at Montreux with Jim Hall and Wayne Shorter. He also played with diverse figures in the US jazz scene including Dizzy Gillespie. In 1994 he was made a knight of the Legion of Honor in Paris. Michel toured Germany, Italy and France in 1997, playing at all the festivals. A sextet tour followed, featuring Anthony Jackson, Steve Gadd, Bob Brookmeyer with Flavio Boltro on trumpet and Stefano di Battista on alto and soprano saxophones. This group was one of Michel's most rewarding efforts, performing into the following year and recording Both Worlds for Dreyfus Records, released in 1998. The CD is entirely comprised of Petrucciani compositions, beautifully arranged by Bob Brookmeyer. Although Petrucciani's ability to overcome his affliction was admirable, his impressive playing stood by itself; he died of a pulmonary infection on January 6, 1999. He was interred in Le Père Lachaise Cemetery in Paris. At the time of his death, he was hoping to set up an international jazz school in France. "It's my life's work," he said. "Jazz is dying out." On the personal side, he had five significant relationships: Erlinda Montano (marriage), Eugenia Morrison, Marie-Laure Roperch, the Italian pianist Gilda Buttà (the marriage lasted three months and ended in divorce) and Isabelle Mailé (with whom he shares his grave). With Marie Laure he fathered a son, Alexandre, who inherited his condition. He also had a stepson named Rachid Roperch. 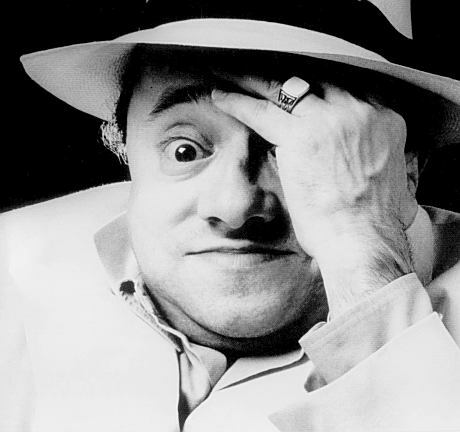 Michel Petrucciani was a national hero in France, and his records were best sellers in Europe. French President Jacques Chirac was among the many who paid tribute to him, praising his ability to "renew jazz, giving himself up to his art with passion, courage and musical genius." He called him an "example for everyone." 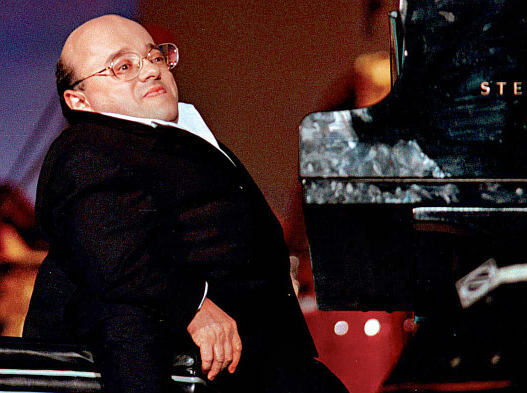 On February 12, 2009, the French music channel Mezzo broadcast a special event paying homage to Petrucciani and the ten year anniversary of his death.